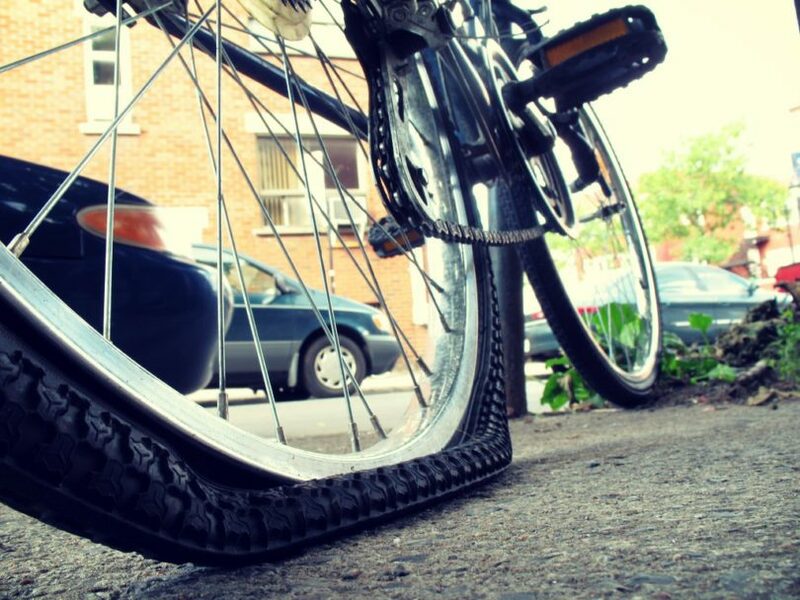 Punctures are an annoying part of cycling. Luckily, there are certain things we can do to significantly reduce the risk of getting them. It's often unknown that they occur in one of three ways. Either sharp objects pierce the tube from the outside. Sharp bits of rim penetrate the tube from the inside. Or you can get an impact puncture. An impact puncture is when you hit something hard like a curb, rock or a root with a significant amount of force. If the compression is great enough the tube can become pinched between the rim and the tire. This flat is called a pinch flat. Although the three are closely related, for the rest of this article we will be looking specifically at ways in which to reduce the risk of pinch flats. What Does A It Look Like? It's usually easy to know if you've got a pinch flat as you'll see two little punctures side by side on the inner tube. For this reason, the puncture is occasionally called a snake bite. There are five ways to avoid a snake bite puncture. 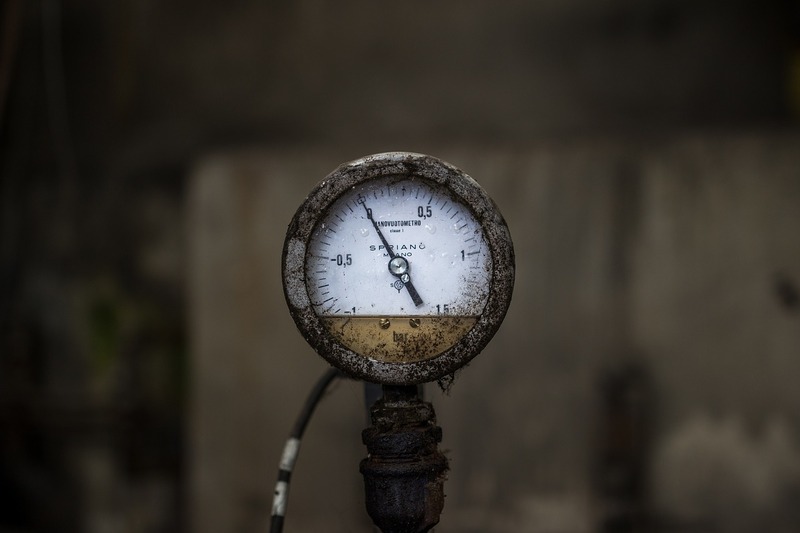 They include having correct﻿ tire pressure, your ﻿tire choice, your inner-tube choice, potentially having tubeless tires, and your cycling position on the road. We'll talk about each one in more detail down below. Correct tire inflation is essential. There are variations on what proper tire pressure is depending on your weight and the width of your tire. Related Post What Was Unusual About The Penny Farthing Bicycle? A 60-70kg rider should look at a tire pressure of around 90 - 100 PSI. Whereas an 80kg + rider should look at a tire pressure of around 110 + PSI, maybe even a little more. Correct inflation helps reduce the risk of impact punctures, as it provides proper resistance between the tire and the rim. The type of tire that you choose is important, and it's not just about choosing a tire that has been labeled as puncture resistant. You should investigate the width of a tire. If you're lucky enough to ride on super smooth roads, a 23mm tire will be okay. However, if you're riding on rougher roads you'll want to look at getting a 25mm or if it'll fit, a 28mm. The extra volume of air will mean it's much better at avoiding snake bites. The only trade off is a little extra weight, but increasingly we're learning that wider tires roll better, so they're potentially faster. An area that people try and save weight on is through their inner tubes. However, light inner tubes puncture more easily, so it's better to go for something that weighs more as it'll be thicker. The one exception to this is when using Latex inner tubes which are lighter and have better puncture resistance. They're more resistant to ​sharp objects, but they're more prone to a disastrous blow-out. Whichever tubes you end up choosing, make sure you get the right width, particularly if you're running tires as big as 28mm. 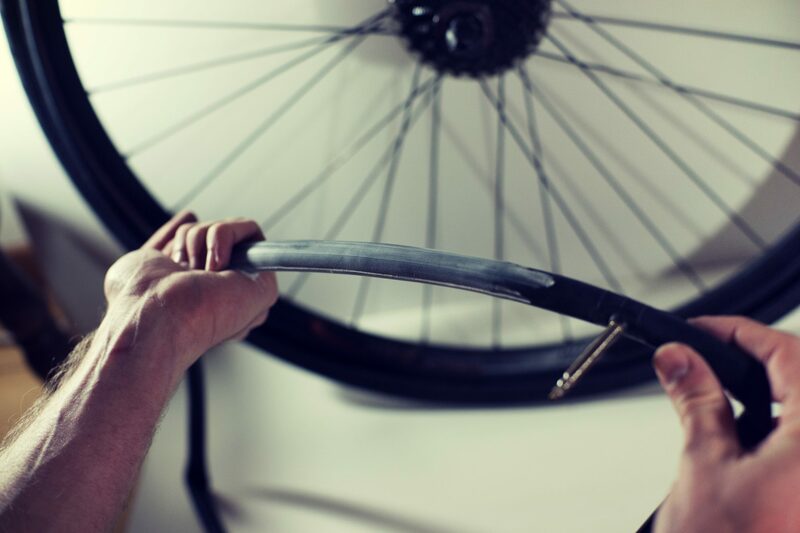 Standard inner tubes will work, but the rubber will be stretched so thinly that you'll lose a bit of puncture resistance. Tubeless tires are a big step forward for road bikes. 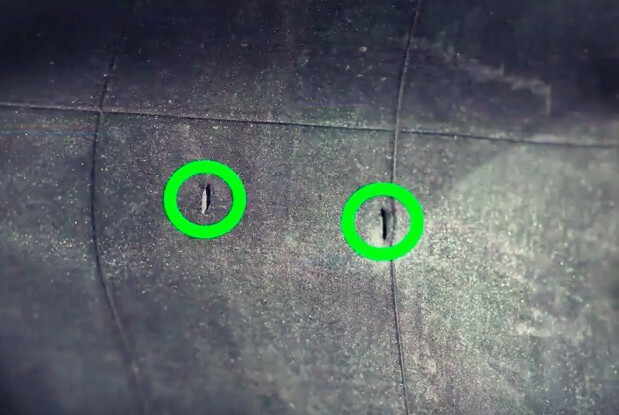 There's a liquid Latex sealant inside them that will seal small punctures without you even noticing, and doing away with the inner tube eliminates the risk of snake bites. The only time that your tire should puncture is if you get a gash in the rubber so big that the sealant can't cope with it. Related Post How Much Does A Bike Tune Up Cost: What’s The Average? Tubeless tires are a significant investment. Chances are your current wheels won't be tubeless compatible and neither will your tires, meaning you'll have to invest in new gear. But, if you're a heavier rider and you ride on rough roads, it could be money well spent. Where you ride doesn't mean choosing entirely different routes, although this could be a sensible decision, it's more about your positioning. Try not to ride in the gutter, and keep your eyes peeled for potholes, manhole covers, or anything with a sharp edge. Related: Topeak Alien II Vs III: Which One Should You Get? Repairing this type of puncture very similar to repairing a normal one. The only difference is that you'll need to use a longer sized patch or use two normal sized patches. The video below by Dean Magnusons gives a demonstration of this. Make sure that you check your tires and wheels for potential problems. Inflate them to the correct pressure. If needed buy wider puncture resistant tires. At all times on the road keep your wits about you.